About | Lancaster Handcraft, LLC. We are a small business based in Lancaster County, PA. We work directly with the Amish artisans who’ve been making furniture for several generations. The designs may have changed but the quality has not. We take the popular, contemporary designs of today and meld them with quality materials and unparalleled craftsmanship to produce furniture that will be the centerpieces of your home. 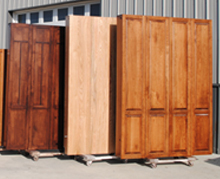 We work in Oak, Quarter Sawn Oak, Maple, Cherry, and Walnut. Reclaimed wood or exotic species of wood are available upon request. All of our pieces can be made to custom dimensions and finished on one of our many stain or paint choices. Our Amish friends have always been an integral part of our local culture. We’ve shared their food, their love of the land and now, with you, we share their quality furniture.